There are already two other recipes for lobster ravioli on this blog (here and here), but I like them so much that I couldn’t resist posting yet another variation. 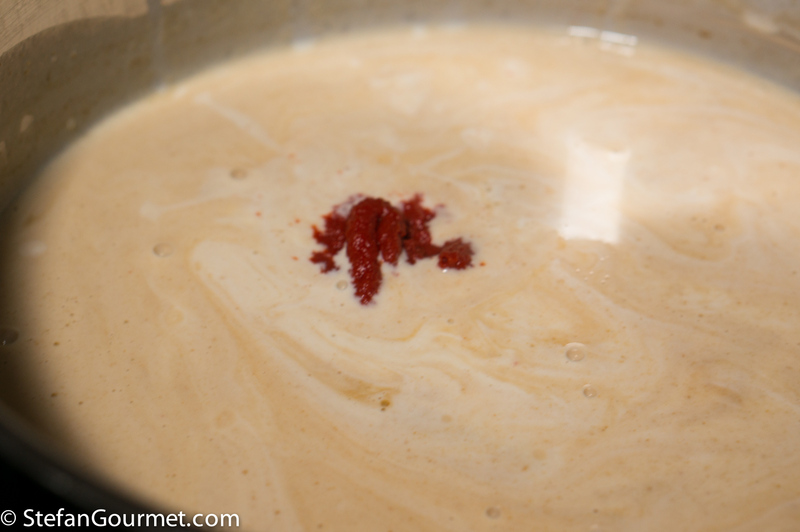 This is now my favorite version, as the lobster bisque that is made from the shells is used both for the filling and the sauce. 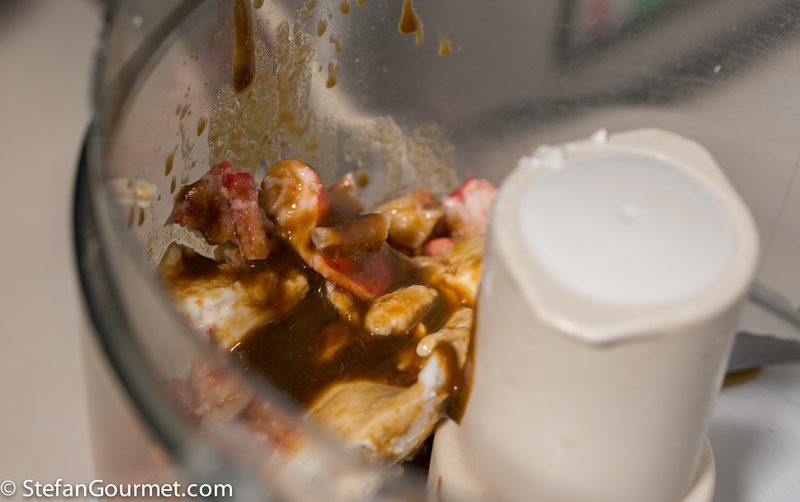 This way you use all of the flavor that is in the lobster, and both the sauce and filling has great depth of flavor. Lobster is an expensive ingredient, but if you are hosting a dinner party you could serve small portions and use only one small lobster — even a frozen cooked lobster would yield an acceptable result (but of course a live lobster will be better). The ravioli will only be cherished more if you serve only 3 of them per person. I have been served a portion of only 1 or 2 pieces at Michelin starred restaurants! 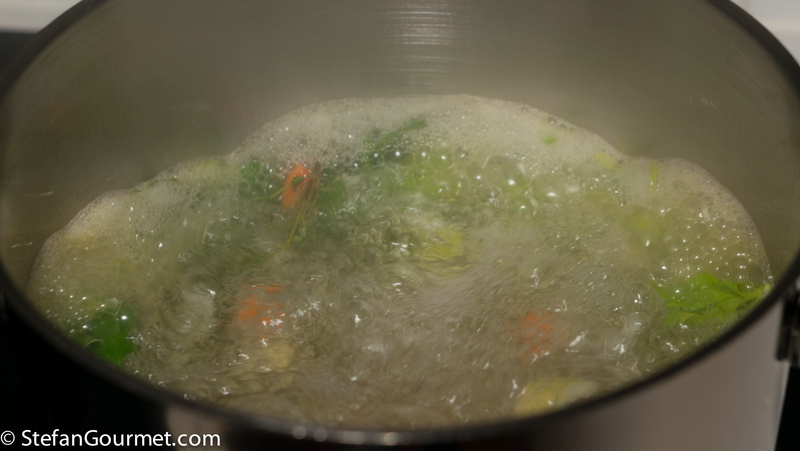 Put about 4 liters (4 quarts) of water in a stockpot and add carrot, celery, onion, parsley, and thyme. Do not add salt. Bring to a boil. 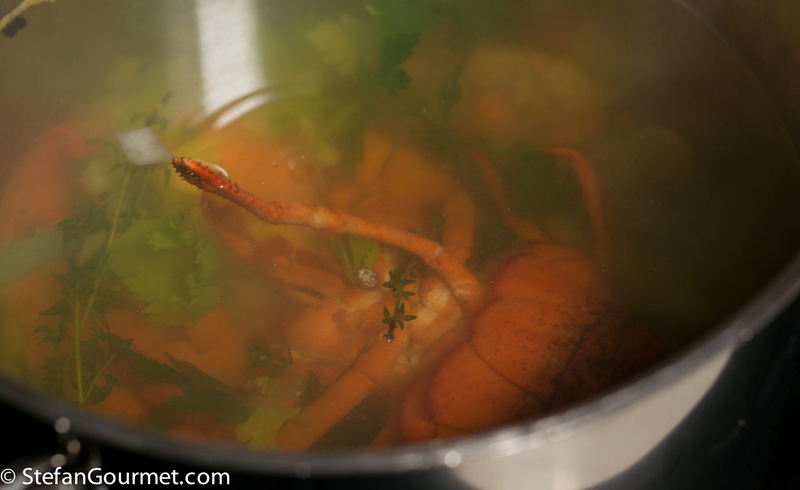 As soon as the lobster stops moving, turn off the heat and allow the lobster to steep in the hot water for 6 minutes. Take the lobster out of the pot, and reserve the pot with the contents. 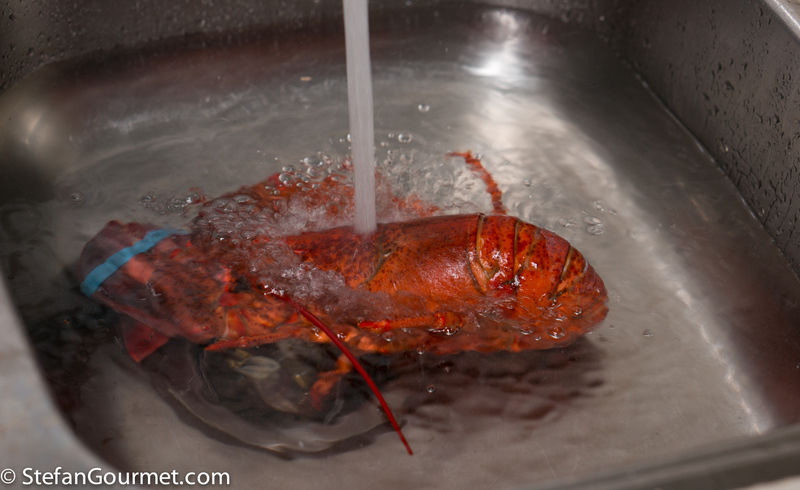 Cool the lobster in cold water. Take the lobster meat out of the shell (using a rolling pin for the small legs), and reserve the shells and the lobster meat. Refrigerate the lobster meat. 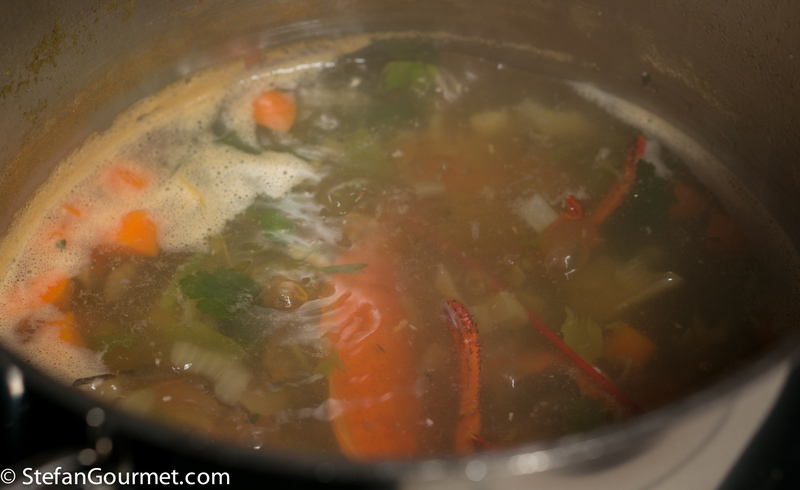 If using a cooked frozen lobster, you can start here and use only enough water to cover vegetables and lobster shells to make the stock as described below. 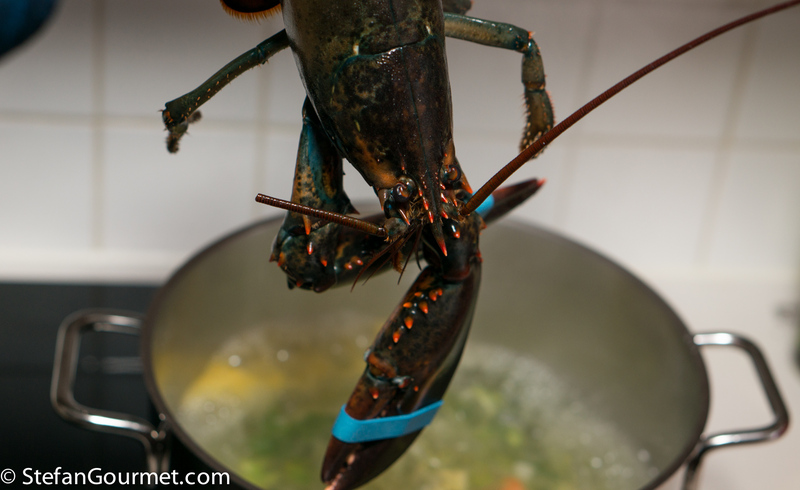 The reduced amount of water means that it will take less time to reduce the lobster stock. Put the shells back in the stockpot, bring to a boil, and cook, uncovered, for 1 hour. 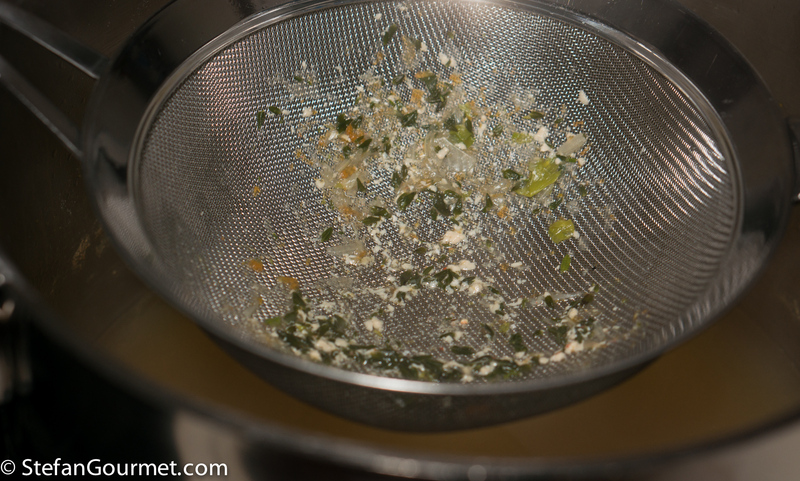 …and then strain it again through a fine sieve. 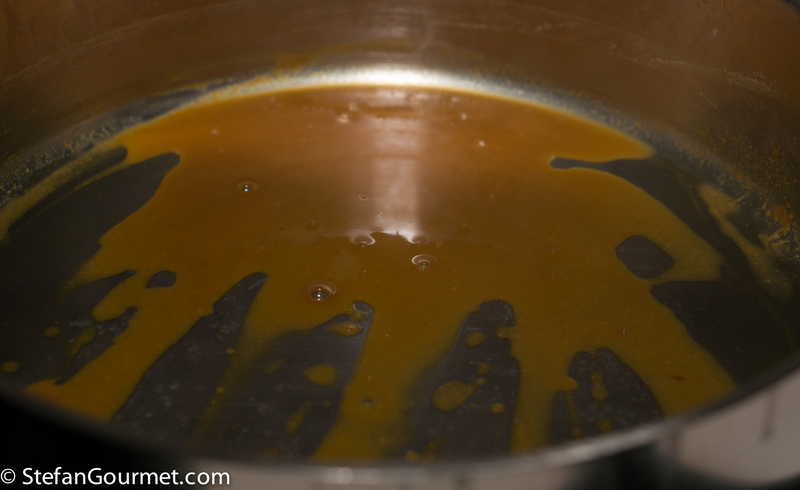 …until it is very thick, then turn off the heat. In the meantime, take the nice lobster meat and chop it. 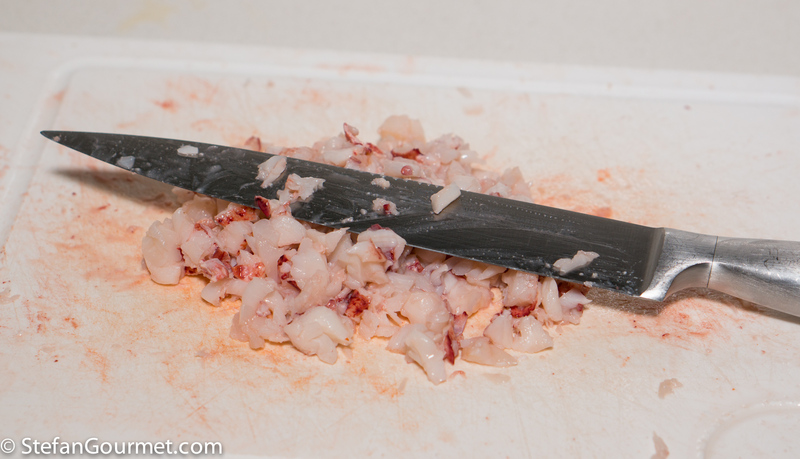 The nice lobster meat is from the tail and the thick part of the claws. 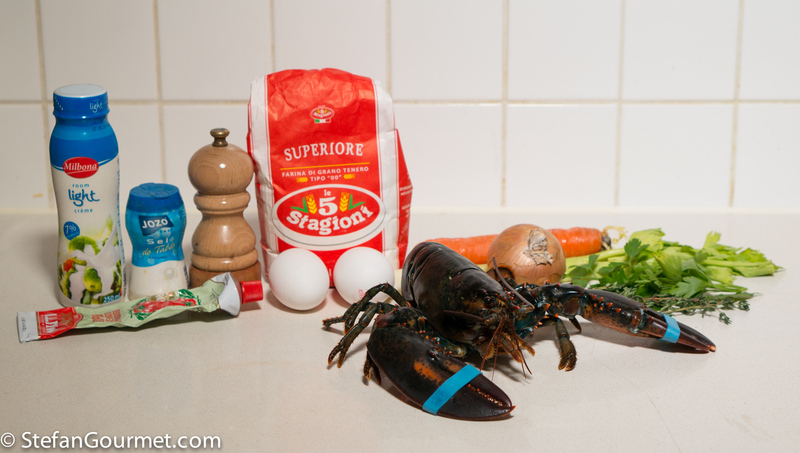 Put the remaining lobster meat (from the tips of the claws, the knuckles, and the legs) in a food processor or blender together with the ricotta and half of the reduced lobster stock. Reserve the other half for the sauce. Blend until smooth. Taste and adjust the seasoning with salt. 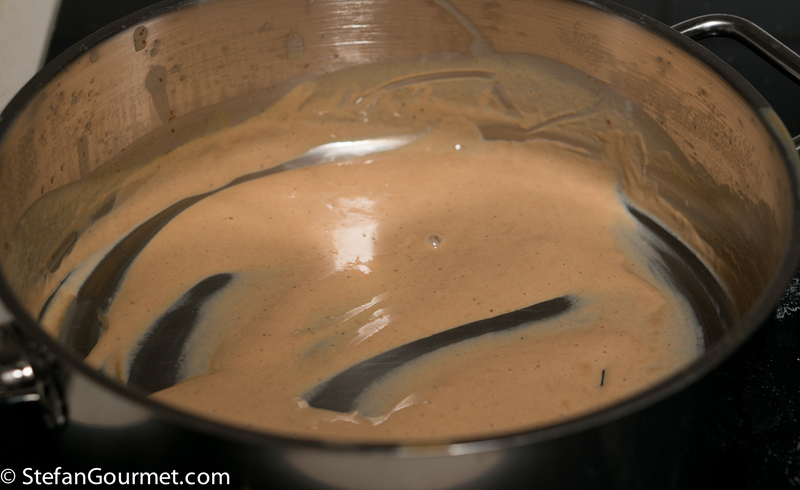 If you like you can also add some freshly ground black pepper or just a pinch of cayenne pepper, but be careful not to overpower the lobster flavor. On the other hand, do not underseason the filling either, as the filling of ravioli should always be generously seasoned. 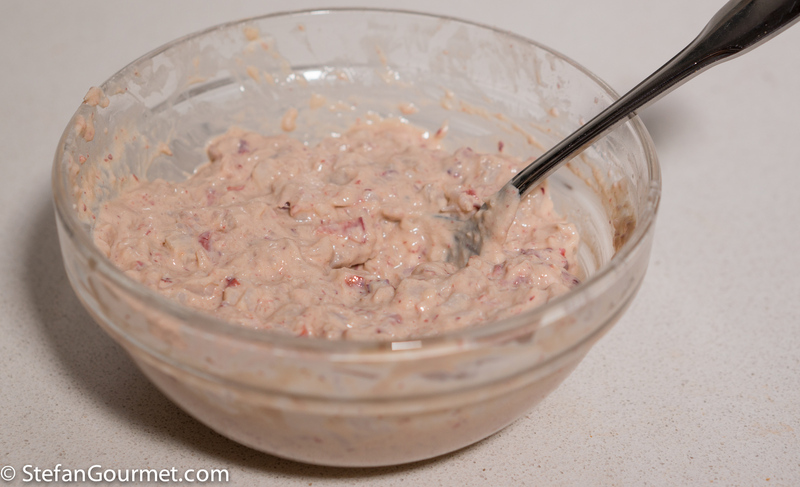 Transfer the lobster and ricotta puree to a bowl and add the chopped lobster meat, then stir to mix. 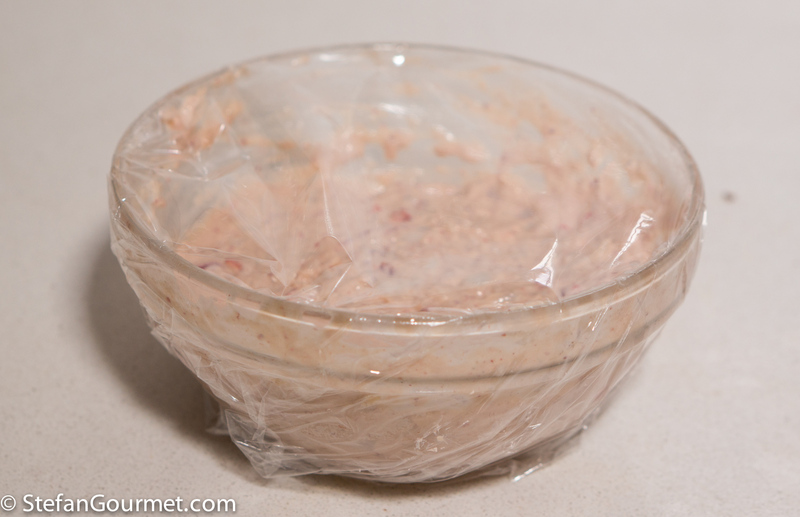 Cover and allow to firm up in the refrigerator. 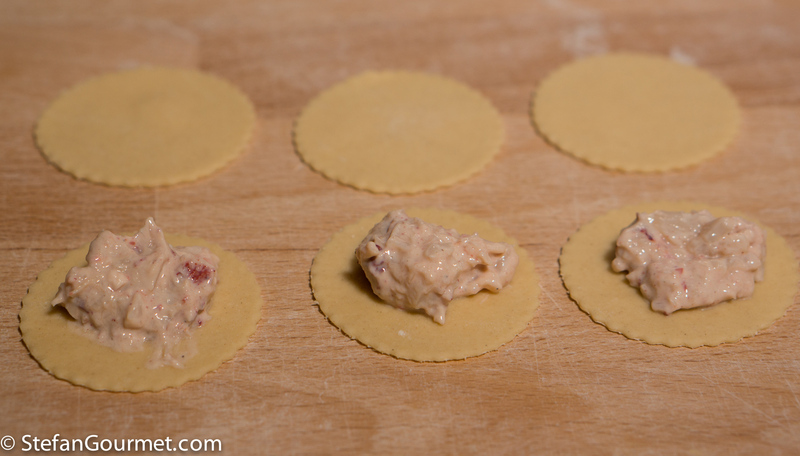 Roll out the pasta dough to the thinnest setting and make ravioli with the lobster filling according to my instructions for making ravioli. 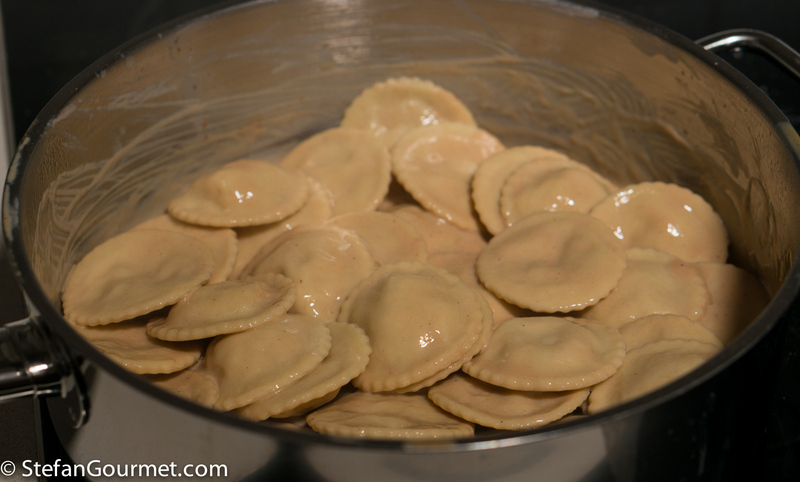 The ravioli can be prepared in advance and stored in the refrigerator or in a cool place. Just make sure they are in a single layer on surface that is sprinkled with flour, and to turn them as soon as the tops have dried (to prevent them from sticking to the surface below). 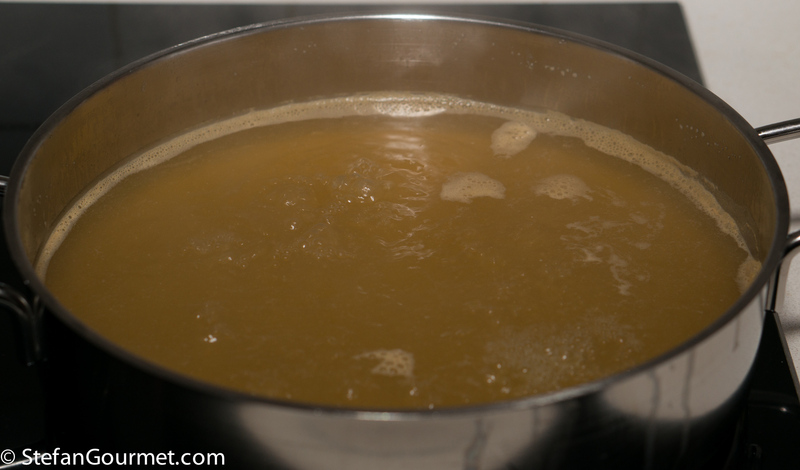 To serve the ravioli, bring a large pot of salted water to a boil. 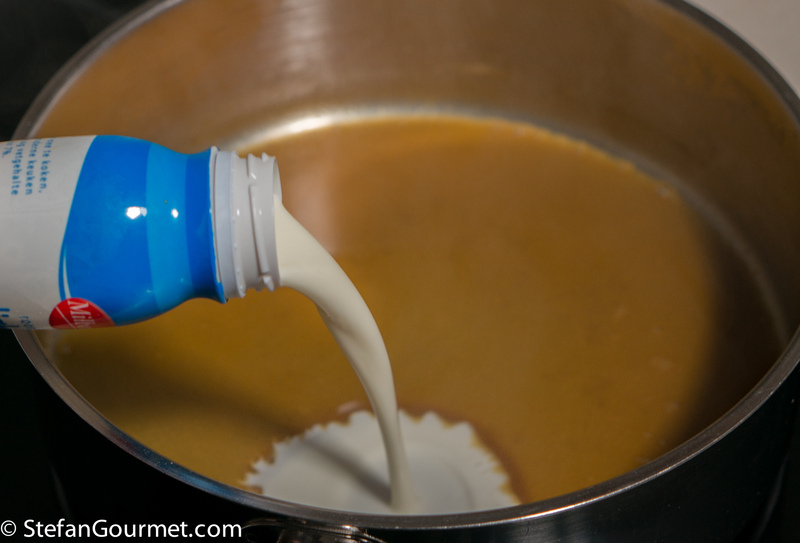 In the meantime, add the cream to the remaining reduced lobster stock. Add the tomato paste, and stir well. 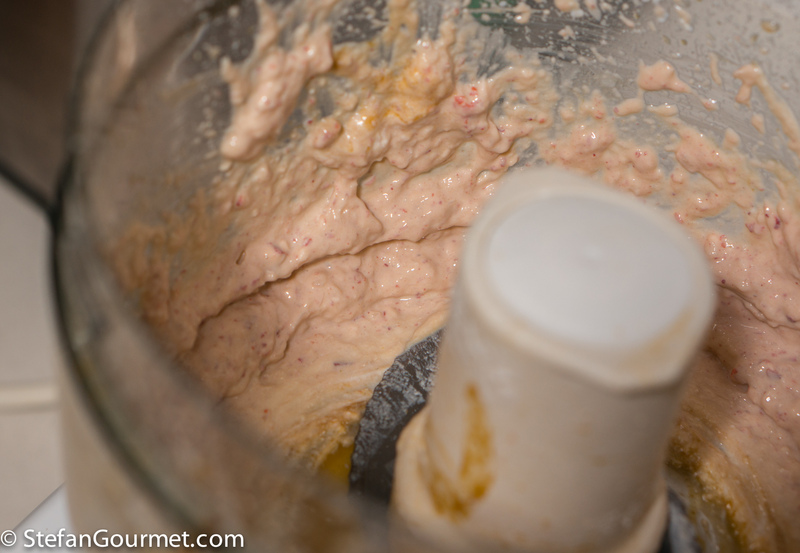 Heat up this mixture and keep it warm over low heat. 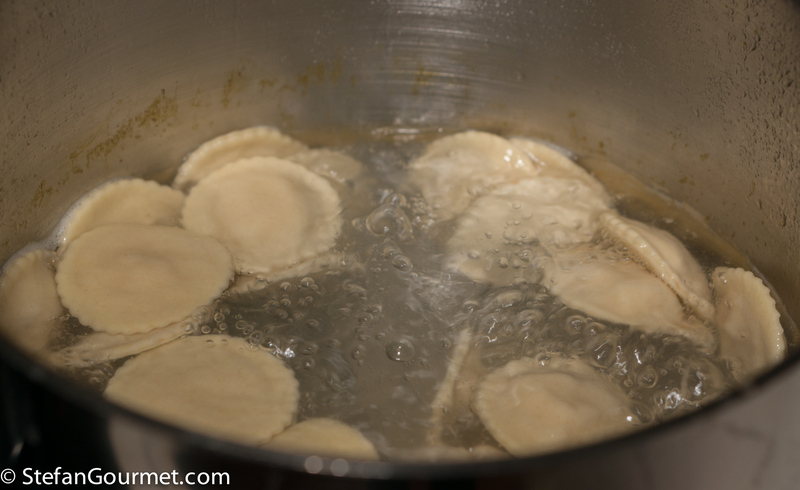 When the water boils, add the ravioli and cook them for about 2 minutes. They are usually done when they float to the surface. 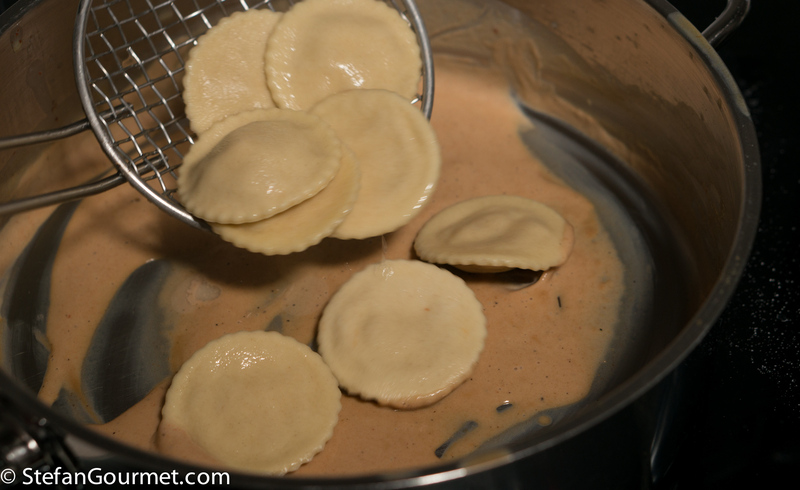 Lift the ravioli out of the water with a strainer, and add them to the pan with the sauce. 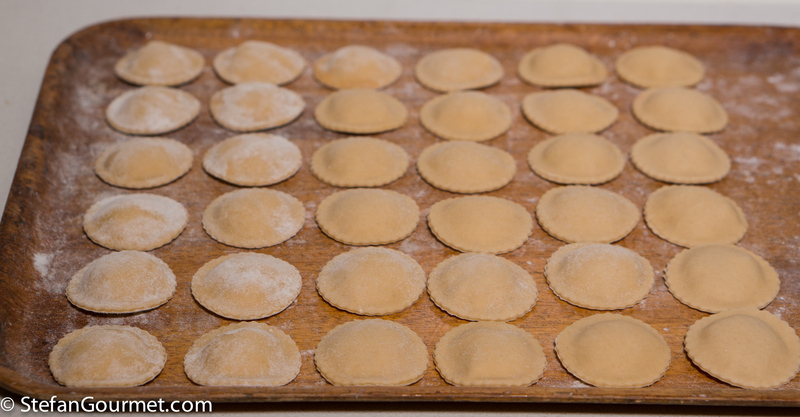 Once you have added all of the ravioli, gently toss them to cover them with the sauce. 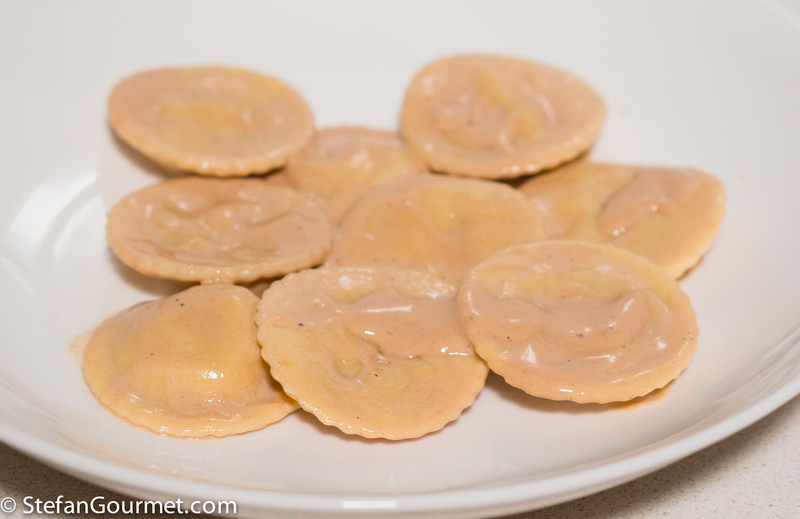 Serve the ravioli at once on preheated plates. 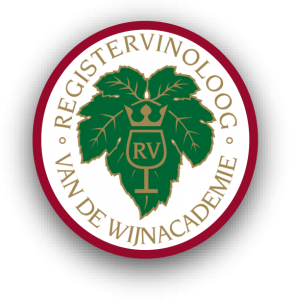 This is outstanding with a complex oaked Chardonnay, especially great white Burgundy such as Montrachet, Corton-Charlemagne, Meursault, Puligny-Montrachet or Chassagne-Montrachet. Zucchini noodles (zoodles) with a ragù made with fish and eggplant, a low-carb tasty dish. Have friends soon coming from the city: ones who live close to the Fish Market – love your mathematics . . . I guess the 2 times 18 plus a couple of bottles of Montrachet are when you and Kees draw the curtains and settle down to some serious fun . . . nice recipe . . .
LOL. Just one bottle of Montrachet will do, and is as least as costly as 20 lobsters of this size. 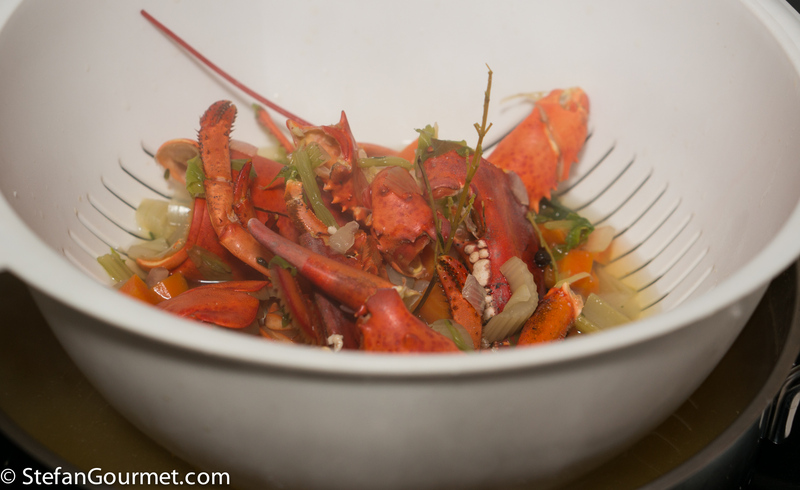 I have great memories of cooking lobster (amongst other things) with Kees and yourself. Happy days. That was fun indeed. We should do it again some time. Da provare. Surgelata. Non potrei pensare di portarmela a casa viva! I have served small portions at times for dinner parties, the comment I got was, “I sure could have had more of this!” I have a feeling, I would feel the same of your gorgeous ravioli. It’s a very special dinner indeed.